Extra Life is a great gaming charity event that was started by Sarcastic Gamer as a way to encourage video gamers to have fun and raise money for kids who face battles with medical problems in hospitals around the world. Gamers pick their hospital, pledge to play games for 24 hours, and try to get sponsors to donate as little as $1 per hour. It's all done electronically via the Children's Miracle Network and 100% of every dollar donated makes it to the hospitals and the kids. In 2010, the folks at Game Salute started encouraging any kind of gamer to get involved. Board games, card games, RPG's, whatever. And we at the D6 Generation thought ... Brilliant! We're in. So we're back this year to do it again! If you'd like to help, there are a couple of options. Come on, you're a gamer!! 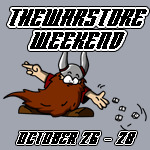 Why not sign up, get a pledge or two, and have a GREAT excuse to game all day! You’ve heard us talk about dozens of great book recommendations for gamers on the show. But when can you find time to read them? Audio books are the answer, and there is no better resource for audio books than Audible. The D6 Generation is extremely proud to have Audible as a sponsor of the show. We take great pride in the fact that our sponsors represent the best in their industry, and Audible is certainly a fantastic example of the best way to enjoy books while commuting, on a road trip, at the gym, painting, or even organizing your favorite board game. But the best part is you can try the whole system out free for 14 days and get a free audio book which is yours to keep. 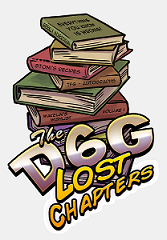 Click here to help support the show, get a free book to keep, and a free trial offer from Audible for D6G listeners.